for many years now and I like it that way. 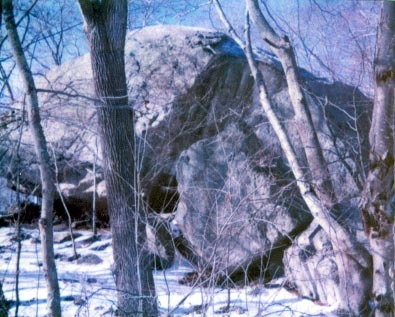 Cauchegan rock is the largest rock in Mohegan land. used so often as a meeting place by Uncas and his followers. and the land around it, for one of their many villages. to form long and roundhouses. provided an abundant supply of fish and clams. when they held their meetings. coming towards them from great distances. and trees in the area to shelter them from the winds. The warmer weather was used for gardening. the Great River to Pau was with other tribes. young men learn about and enjoy Mother Earth. the first thing that they mention is the littering. as well as with the Cub Scouts, Brownies and Girl Scouts? and all of the Ancestors, by turning into just another tourist attraction.